Taking a lump sum or annuity depends on the individual's plans for retirement. 2. 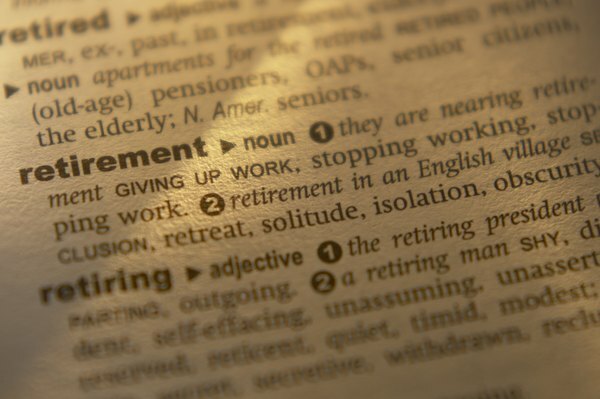 What Is a Straight Life Retirement Annuity? 3. Does a Beneficiary Pay Inheritance Tax on an Annuity? Retirement decisions can be difficult to make. The choice of whether to take a pension as a lump sum or as an annuity is one of the most important. There are a few important factors that affect the decision, including the impact of Social Security, the individual's goals and the availability of other retirement benefits. Employer-sponsored pension plans can offer retirees either an annuity or a lump sum upon retirement. The annuity is a stream of payments that can have different conditions attached. An annuity might last for a set period of years, it might cover the lifetime of the retiree and his spouse or it might offer some variation of the two. Annuities are typically not inflation-adjusted. Lump sums consist of the net present value of the annuity option and are paid to the retiree all at once. However, the lump sum payment may be taxable income, so depending on the plan, receiving a lump sum can move an individual into a higher tax bracket for the tax year. Every retiree will have different goals and plans. For example, someone who wants to leave money to her heirs might want to take the lump sum option and invest some of the money so that it can grow. A person who is concerned about having a steady income might take the annuity to guarantee that he will have a monthly check that can help cover his bills. It all comes down to what each person wants to do in his retirement and what other assets he has available. Lump sums are more flexible than annuities, but once the lump sum is gone, there is no more money coming. Annuities are fixed and vulnerable to inflation or unexpected emergencies, but they end at set times, often upon death of the beneficiary. The existence of retirement plans such as IRAs or 401(k)s will also affect the decision of whether a lump sum or annuity is best. A retiree with a lot of money built up in investments might take a lump sum, confident that she already has the security that the annuity would provide. If a potential retiree has only his pension to support himself, he might want to take the annuity for its guarantee of income month after month. Retirees may also take the lump sum and then buy a different annuity if they can get a better deal elsewhere. Social Security checks can provide another source of monthly income. Retirees are eligible for Social Security when they retire if they have enough work experience. If a retiree can meet all of his projected necessary expenses using Social Security and other retirement investments without needing to take the annuity, taking the lump sum can provide him with the opportunity to grow his savings through further investment. Potential retirees should use the Social Security Administration's retirement estimator tool to get an idea of how much Social Security income. The Retirement Workshop: Lump Sum or Annuity? What Is a Contingent Annuitant? What Is a Temporary Annuity? Can an Annuity Be Set Up to Go to Your Children at Your Death?